Birdied the last two for –3. Good start. “Upstate Jay” is in the house looping for Lorie Kane. Found him in the parking lot after the pro-am with car trouble. 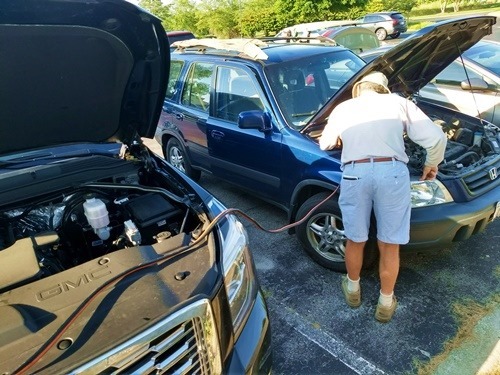 He left his headlights on and was getting a jump start from Janie Jackson. Lucky I came over. He had the cables on the wrong terminals. 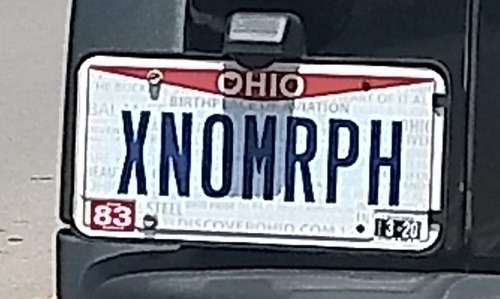 Spotted this vanity plate. Interesting. This entry was posted on Friday, June 29th, 2018 at 6:40 pm and is filed under Uncategorized. You can follow any responses to this entry through the RSS 2.0 feed. You can leave a response, or trackback from your own site. Good start to the tournament and a good catch with the jumper leads, that could have caused a lot of damage.